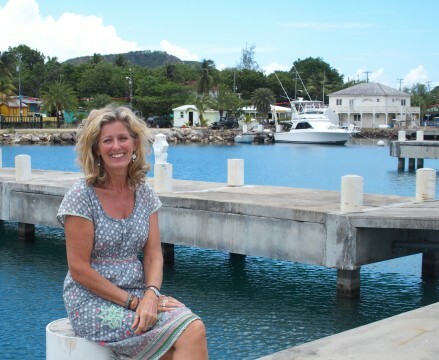 The roots of Tina Westwood’s business taking care of Antigua’s yacht owners sprouted when she was 19 years old. A girlfriend asked if she’d like to work on a yacht that was sailing the Atlantic Crossing. This question triggered Westwood’s fearless habit of saying “yes” to tasks she had never attempted before. After accruing six months of sailing experience, Westwood would assume the Lead Stewardess role on a trip aboard a yacht heading to Athens, Greece. 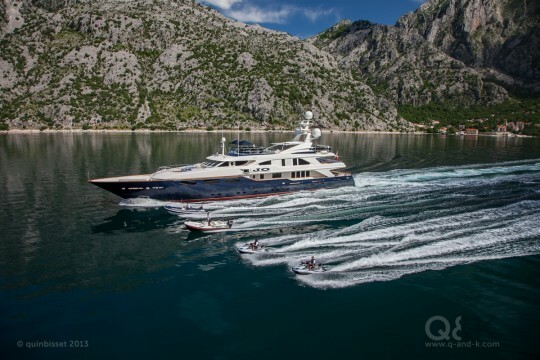 The Greece trip would lead to a job working on the $100 million, 482-foot yacht of Saudi Arabia’s King Fahad. In 1987, after working on the billionaire’s yacht that included its own helicopter pad, Westwood said it was time for a break, and she flew to the island of Antigua. As a farewell gift, Fahad awarded Westwood with a $10,000 tip. Westwood loved Antigua’s Caribbean vibe, as well as the island’s eclectic mix of ex-pats and natives. The then 27-year old Westwood decided to give island living a try, and she opened a bar with a former U.S. Marine. G &T’s Bar was a hit, especially among the yachting community. On the heels of her first bar’s success, Westwood opened a second in 2000 and dubbed it the Mad Mongoose. Over the decade during which she owned this popular tavern neighboring the Antigua Yacht Club, the Welsh-born Westwood employed 20 people and gave birth to a baby girl. Displaying her trademark work ethic, Westwood was back behind the bar the day after her daughter was born. “It was Race Week here in Antigua. The harbour was jumping and the Mongoose was full,” Westwood said. 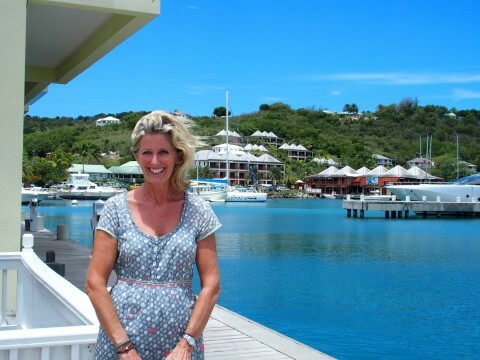 Westwood took over the reins of Caribbean Concierge Services, a shore-based management company handling everything from customs clearance, boat parts, event planning, private charter flights, and even where to purchase limes while on island. 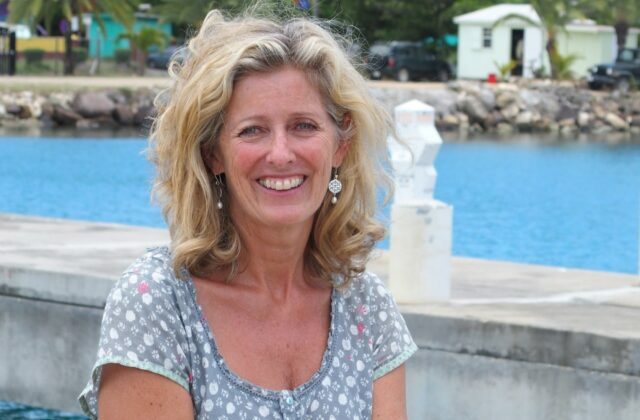 “Between my years as a Chief Stewardess and connections owning two Antigua bars, I had stitched together quite a business network. I quickly developed a reputation among the yachties as someone who could get the job done,” Westwood said. 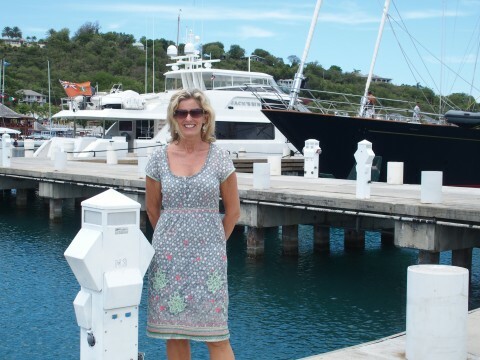 Westwood’s previous tenure working aboard yachts gave her a tremendous insight for not only knowing what motor-yacht and sailboat owners needed, but also for connecting with the crew. “One yacht owner may request that I arrange for a private plane so they can fly to the neighboring island. They may also want me to source day workers for any events they have planned. As for the crew, their needs could be simply assisting with proper directions around Antigua,” Westwood said. Over the years, Westwood picked up second languages, accounting, and computer skills on the fly. She attributes most of her entrepreneurial success to a gift for gab, business contacts evolving into lifelong friends, and a tireless work ethic. 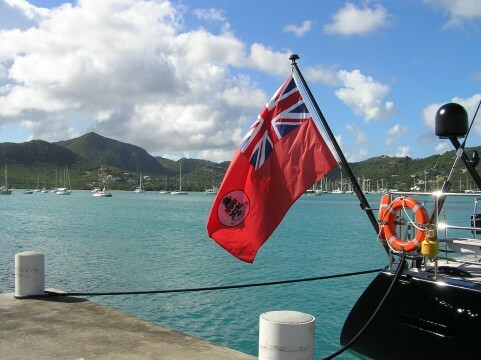 A typical concierge day for Westwood could mean arranging for boat clearance through Antigua customs, meeting with a florist to arrange flowers on board, scouring local markets for produce, and assisting with the delivery of boat parts in need of repair. The deep pocketed boat owners sometimes present wishes that are out of the ordinary. During this past Christmas season, Westwood received a last-minute call asking for a private plane to St. Barths for New Year’s Eve. She also accommodated an English television actress needing a playmate for her 10-year-old daughter. Westwood solved this request by commissioning her own 13-year-old daughter for the job. Westwood was asked what sets her apart from her competition. “In this business, it’s essential that you answer the phone. That sounds easy enough, but when you receive a call late in the evening it’s not always what you want to do. If you ask the boat captains and owners why they continue to work with me, they’ll tell you that I’m readily available to complete most any task,” Westwood said. A very enjoyable read, ive learnt things about my good friend Tina I didn’t know even after 30 + years!